We are a small chinese bakery, established in 2003. 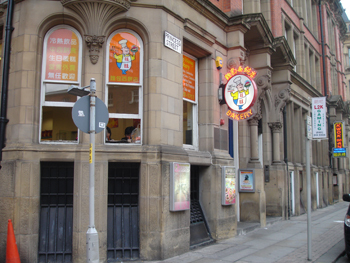 We are situated in China Town, Manchester on Princess Street between Yang Sing Restaurant and Kwok Man Restaurant. We offer a wide selection of freshly baked traditional and contempary Chinese buns, cakes and pastries. You'll be amazed by our cakes, ideal for birthdays, weddings, or any other special occasions, or just a slice for yourself!